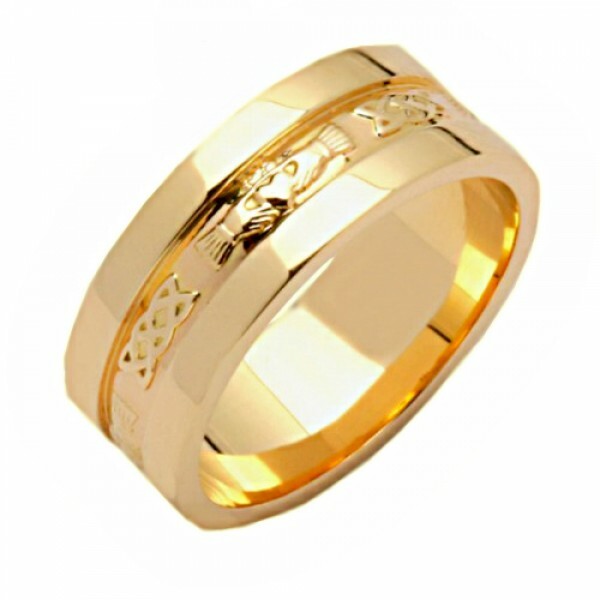 This is a beautiful Claddagh Band Ring made from 14 Karat or 18 Karat Yellow Gold. A Classic Irish Wedding or General Purpose Ring! From the Boyne Collection - the Yellow Gold Sp..